As one of the most colourful and intricately patterned cold water fish, koi fish are renowned symbols in Japanese and Chinese culture. They play an important role in ancient folklore, and were believed to transform into a magical dragon if they could swim upstream, past the Dragon’s Gate. 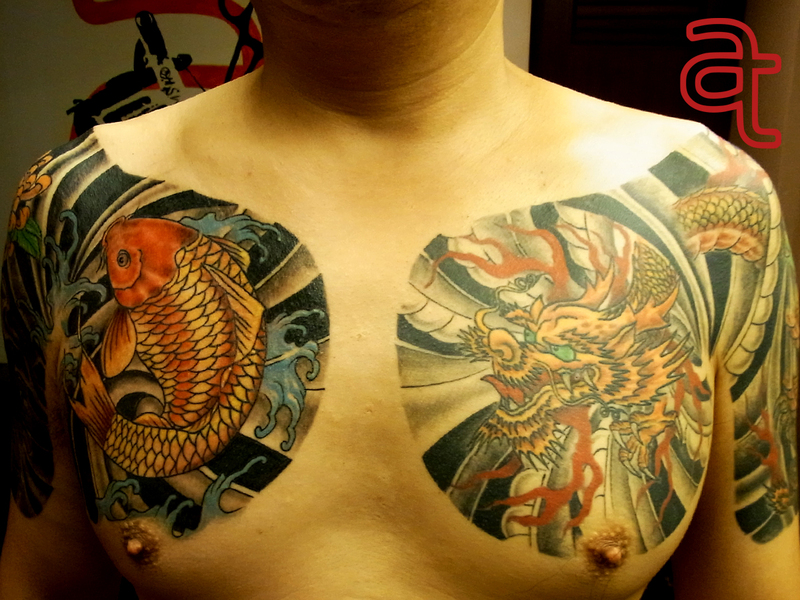 Below, we’ve put together a Koi Fish tattoo dictionary, explaining the meaning behind each one of these tattoo designs. The dragon, derived from the Greek term ‘large serpent,’ was a prominently featured mythical creature in European and Asian folklore. In Europe, dragons were viewed as sinister beasts, slain by knights; in China, the dragon was a symbol of good fortune and prosperity. With their elaborate history, dragons have become popular tattoo designs, and, as a result, a variety of dragon designs have come into existence. If you’re interested in learning more about the meaning behind these dragon tattoo designs, read our list below!